I’m blessed to know Amy Beth Sharp, an awesome woman of God that I’ve had the privilege to attend church with when I was a child. I saw her Facebook post, and immediately knew I wanted to share this, and she was gracious enough to give me her permission. Enjoy her story. 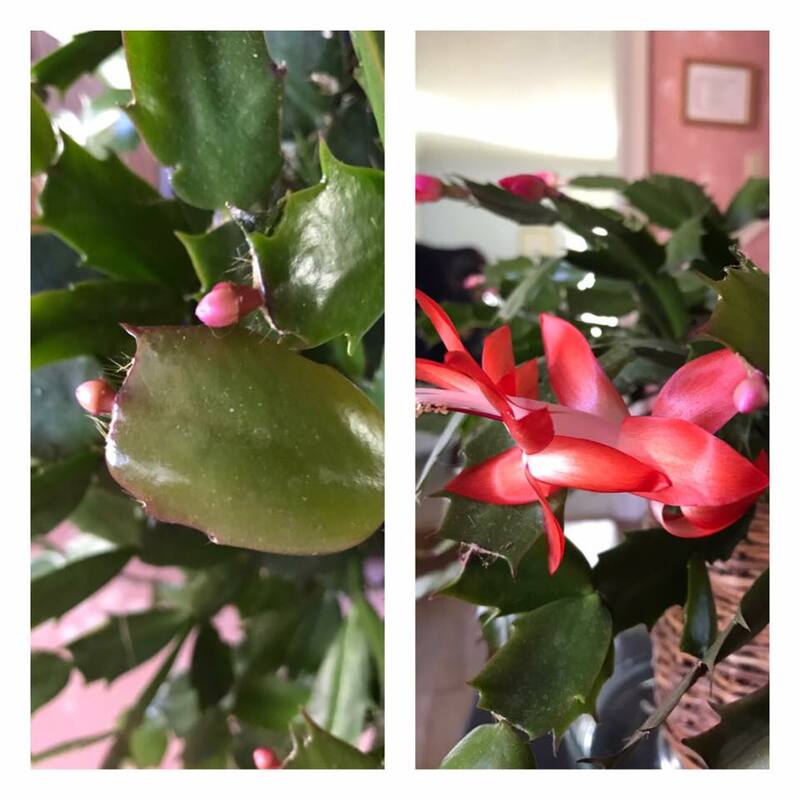 “I was headed to the trash with this Christmas cactus one day last spring. It had sat on my piano for four years: a pathetic, withered, anemic-looking twig. I often failed to water it (hey, the word “cactus” is in its name!) and probably never fed it. I never once googled for information on caring for it. Instead of throwing it away, I sat it in the shade of my front porch and gave it a big drink of water. In a day or two, I was surprised to see how perky and alive it looked! Within another few days new shoots were growing on it, and over the summer it quadrupled in size! Optimistically, I hoped it would bloom this year. Sure enough, little pink buds formed at the end of each frond. Today, it has full blooms on it. I wonder how many people around us are like my plant? So many are sad, undernourished, underappreciated, ignored and out of place. It took so little to take my plant from dying to thriving! I just brought it out of the shadows, into the light, and gave it what it needed. It’s so easy to help people along their way. Kindness, mercy, a smile, respect, courtesy, acceptance and love are like water and sunshine to hurting people we rub shoulders with every day. I love the analogy Amy gave us. And as I began to meditate on this, I began to think about this in a different way. It made me consider how we may prematurely cast aside marriages, family relationships, jobs, friends or ministries because WE think they aren’t thriving. You may even be ready to give up on yourself. There could be a situation or circumstance that you feel will never get better, and you’re ready to give up. Whatever it is that you are prepared to discard, allow God to shed some light upon it. His Presence changes everything. Allow Him to have His way in every area of your life, because He truly cares. Don’t give up just because your circumstances look grim and fruitless. There is beauty inside, waiting to blossom from the healing power of God’s wonderful light and grace. Allow God to bring you out of the shadows, into His light. He will give you what you need.